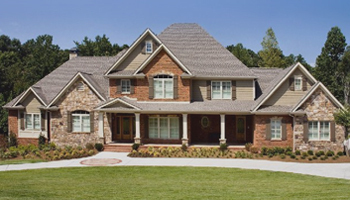 Whitmire's building process provides the turnkey custom home building experience that you deserve! We feature fixed contract pricing , creating transparency and prevents hidden fees or surprise costs. We’re proud of our quality work and the beautiful finished product. View a selection of our homes here. Whitmire Homes is a home builder located in Gainesville, Georgia. 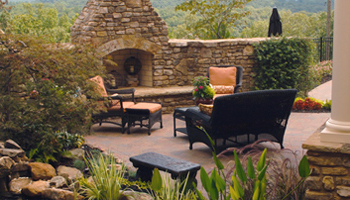 In business for over 30 years, our team of industry experts is ready to build your dream home! We are committed to providing a stress free building process and exceptional construction for your new custom home. Take time to get to know more about our work and customer satisfaction by viewing our testimonials. Contact us today for more information about our home building process! Superior craftsmanship & quality products. A tailored, turnkey building & bidding process. When my wife and I decided to build a home, we chose to work with Whitmire Homes. We got two referrals from within our neighborhood and we knew they were a reputable company. Whitmire Homes did a really thorough, quality job. They are great communicators. They guided us through the entire process and came up with some great ideas for our home. I've built several houses and this is by far the best experience I've had. We would like to express our appreciation in completing the construction of our home. We would like to compliment you on the quality of craftsmanship, time of construction, and the ease in dealing with your company. This was the second home we have had you custom-build for us and wouldn't hesitate to have you build a third. Living out of state and building a home can be a scary proposition, but we never worried about it with you. We would be happy to recommend you to any potential clients. We had a dream. Whitmire Homes helped make it come true. The entire experience, from the initial meeting to getting the keys, was exceptional. Whitmire Homes provided all the things that money buys when building a home and gave us what money can not buy; sincere, caring people, of sound character and integrity, who really listen to the client and go "above and beyond" to satisfy a personal commitment to excellence. My wife and I were new to Hall County in 2000 when we were considering building our home. We sought the counsel of a number of people to find the best home builder in the Gainesville area. Time after time, people recommended Whitmire Homes. It was nothing less than a joy working with Whitmire. From design to receiving the certificate of occupancy, they are committed to customer satisfaction and excellence in their building. Turnkey pricing is the only way to go, in my experience, and they do it to perfection. I recommend Whitmire without reservation. 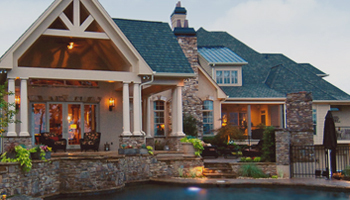 We chose Whitmire Homes to build our custom home not just once, but twice. We were very pleased with our home in 1998 that we chose Whitmire Homes without hesitation again in 2004. Building a new home can be stressful and the choice overwhelming, so choosing the right builder really makes a difference. We love our new home. We appreciate Tim and everyone at Whitmire Homes that made sure our home was quality built and the process was so smooth from start to finish. Whitmire Homes built my home on Lake Lanier in April 2009. When we had our initial meeting on my lot I immediately knew they were the ones! Their attention to detail, perfection and maintaining a timely schedule with the subs they use on a regular basis.... all of this was a wonderful experience for me. This home was my 5th home I've built, all with previous builders. I've never had a builder with as much integrity and reliability as the Whitmire group and I would highly recommend them. Teri and the entire staff were also especially helpful during the process. Thank you so much and feel free to use me as a reference!!! We just wanted to thank you for all you've done to create a beautiful home for us. We are very pleased with the house and know it was built with care and attention to detail. We look forward to building again and having you all make it happen for us! We recently signed off on the year-end inspection at our home. From the beginning to end, Whitmire gave a stellar performance. This was the fifth house we had built and our experience with Whitmire was the finest and most pleasurable of all. Every homeowner wants a superior product, but we learned that Whitmire, the employees as well, are satisfied with nothing less. After our previous experiences with builders, it seemed like an oxymoron to say building was fun, pleasurable, a real joy, but that's what the experience was with Whitmire Homes for us.